If you thought Evangelion's characters have a tough time in the anime, wait until you see what happens when some of Japan's most unhinged manga artists get their ink-stained hands on them! 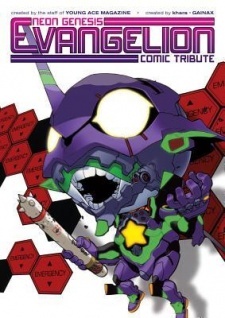 Neon Genesis Evangelion: Comic Tribute is an officially authorized one-shot anthology of parody stories assaulting Evangelion from all directions. 10. Don't You Dance Like You Want to Win! 13. Decisive Battle! Evangelion Online!